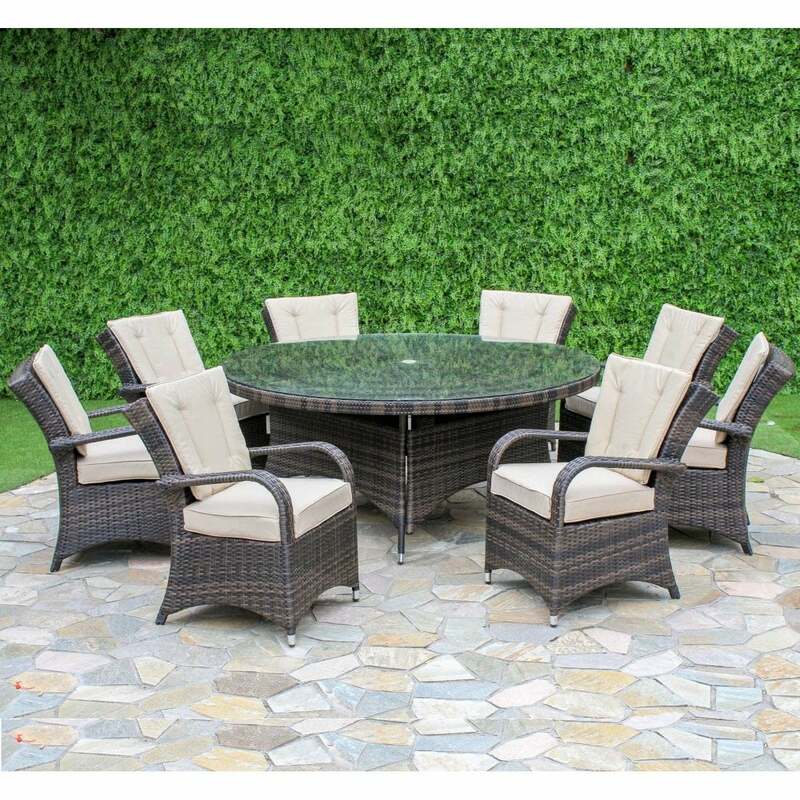 Maze Rattan 8 Seater Texas Round Table Set: The Maze Rattan 8 Seater Texas Round Table Set is a sophisticated outdoor dining set made from synthetic rattan woven over aluminium frame which ensures the longevity and weatherproof properties of this dining set. The large round rattan table measures an impressive 1.8m wide and so offers plenty of space for up to eight people to sit and dine together. The table is finished with a tempered glass top which features a parasol hole for the event of needing a parasol. The armchairs are comfortable and modern in style the armrests create a feature point, and the woven rattan back offers a comfortable and supportive seating experience. The included seat and back cushions pads are made with a showerproof material and so can be left outside if the weather is dry. It is advised to keep the cushions stored indoors over the cooler, wetter months of the year.